It would be a lie to say that Canada holds a prominent place on the international soccer stage. Currently, the Canadian Men’s Soccer Team is 102nd in the Fédération Internationale de Football Association (FIFA) rankings, between Saint Kitts and Nevis, and Benin. However, soccer is growing in popularity among Canadians – the 2014 FIFA World Cup in Brazil was watched by 30.7 million Canadians and there was broad media coverage of the FIFA Women’s World Cup 2015. According to the Canadian Youth Sports Report, soccer is the most popular team sport among children aged 3 to 17, just ahead of hockey, and is gradually gaining an importance that no one can deny. Last year, among kids aged 3 to 17, there were 236,000 more registered soccer players than hockey players. The gap between hockey and soccer has historically existed and is expanding. Seventeen years ago, 32 per cent of Canadian kids aged 5 to 14 taking part in sports played soccer, whereas a little less than 30 per cent played hockey. Five years ago, 42 per cent played soccer and only 22 per cent played hockey. There are several explanations for the growing popularity of soccer among youth in Canada, the first of which is cost. Hockey equipment is expensive. The annual expenses for parents supporting their hockey-playing child are on average around $1,600 per year, in comparison to approximately $700 per year for soccer. 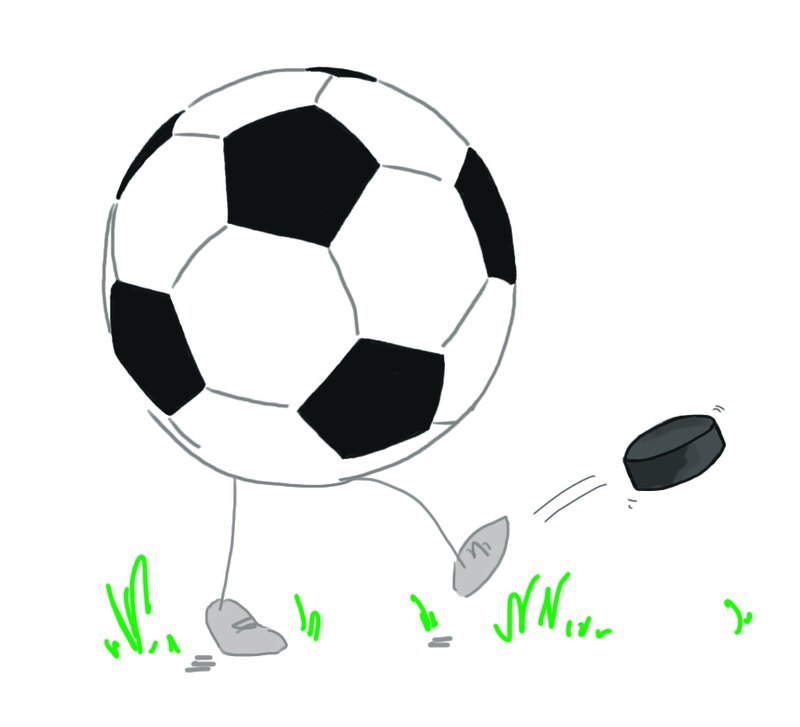 Additionally, all you need to play soccer is a ball and an open space, whereas to play hockey you need skates, a stick, protections, and ice. The seeds of a Canadian ‘soccer culture’ have been sown. Soccer is also becoming a popular sport to watch in Canada. More people watched the 2014 World Cup final than the 2014 Stanley Cup final, highlighting a growing Canadian passion. Canadians bought more than 29,000 tickets to the 2014 World Cup despite the Canadian team’s failure to qualify. Soccer was given more visibility this year with Canada hosting the FIFA Women’s World Cup, which became the most widely watched Women’s World Cup ever. The quarter finals averaged 3.2 million viewers per game in Canada alone. The development of the sport and a bid for hosting the 2026 World Cup have made the idea of a professional Canadian league sound less far-fetched. A national league would certainly increase Canada’s chances of winning the bid. Canada already has three teams in Major League Soccer (MLS), the professional North American men’s league: the Vancouver Whitecaps, the Toronto FC, and the Montreal Impact. However, the number of franchises in Canada is increasing. This could very well lead to the creation of a Canadian league, which would boost the development of the sport here, as the creation of the MLS did in the U.S. over twenty years ago. Slowly but surely, soccer is becoming part of the Canadian sports culture. The number of children playing soccer from an early age continues to increase. The expansion of a sport is admittedly gradual – hockey and basketball didn’t reach their levels of popularity in Canada and the U.S. overnight. Nevertheless, the seeds of a Canadian ‘soccer culture’ have been sown, and it wouldn’t be surprising to see the country become prominent on the international soccer stage in the decades to come.